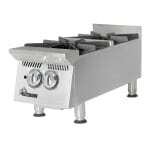 The Star 802HA Ultra-Max® hotplate has two anti-clog burners with lift-off heads to simplify the cleanup process. 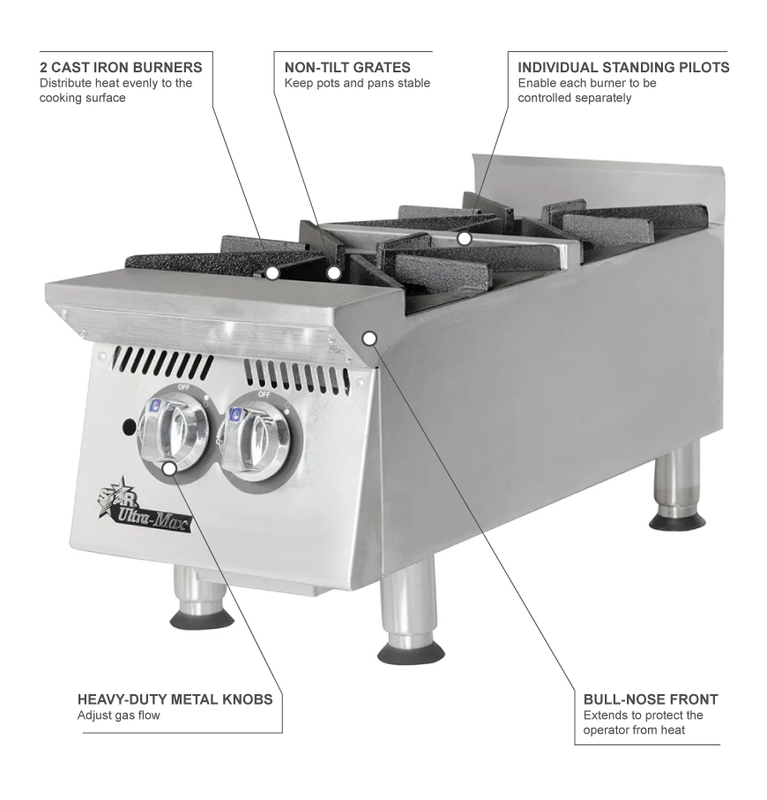 Heavy-duty metal knobs help operators adjust the flow of gas to change the heat intensity, and the grates resist tilting to stabilize pots and pans. 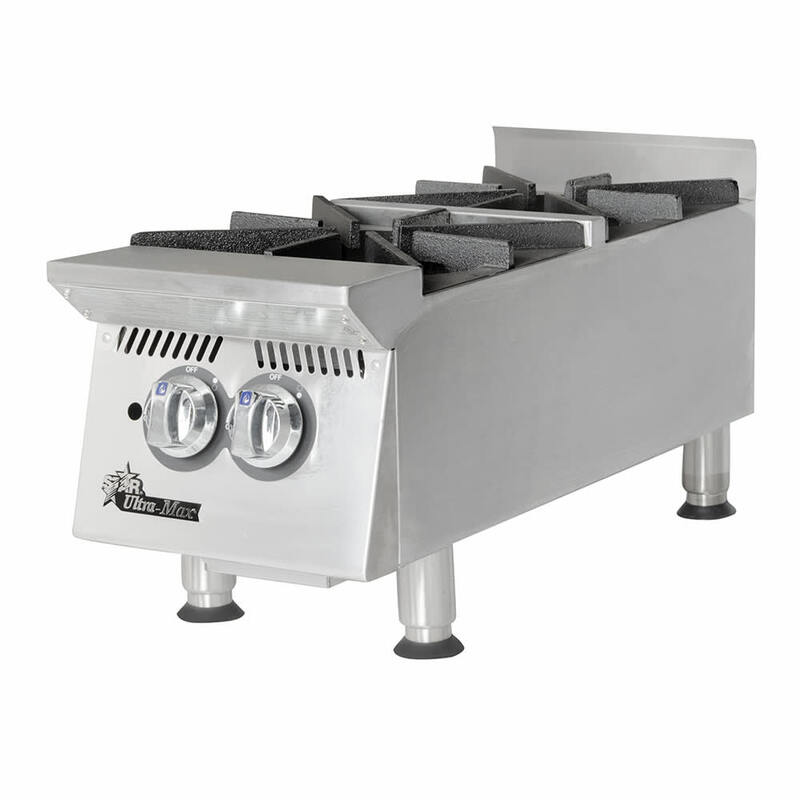 Both the burners and grates are made of cast iron to withstand heavy use, while the front panel and bullnose on this Star 802HA Ultra-Max hotplate stay cool reduce burn risks. Learn more about countertop cooking equipment like hotplates in our countertop equipment buyers' guide.